A package to boost bank lending to small and medium-sized businesses (SMEs) has been announced ahead of Wednesday’s Autumn Statement. The Treasury pledged £400m to extend government-backed venture capital funds which invest in fast growing SMEs, called Enterprise Capital Funds. 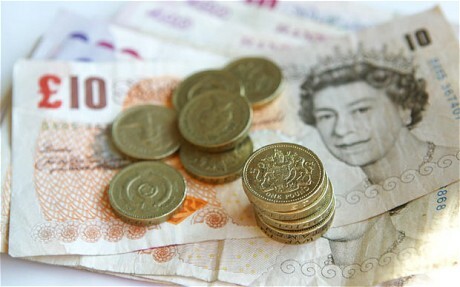 It also said it would guarantee up to £500m of new bank lending to SMEs. The Funding for Lending (FLS) scheme to boost bank lending to firms will also be extended for another year. “Now that credit conditions for households and large businesses have improved, it is right that we focus the scheme’s firepower on small businesses, which are the lifeblood of our economy,” said Chancellor George Osborne. The £500m of new bank lending will be allocated under the Enterprise Finance Guarantee Scheme which was set up by the former Labour government to encourage more bank lending to SMEs. Under the scheme, the government guarantees 75% of an SME’s bank loan, with the lenders covering the remaining 25%. The additional money for this and the Enterprise Capital Funds are aimed at helping the government reach its target of unlocking £10bn of finance for SMEs by 2017/2018. The Bank of England and Treasury said the extension of the FLS scheme would complement the various other longer-term initiatives aimed at improving the availability of credit to SMEs. The FLS scheme, a Bank of England and Treasury scheme, started in August 2012 with the aim of increasing bank lending by up to £70bn. The intention was to bolster the economy, by halting the downward spiral of both lending and borrowing that the UK had experienced since the onset of the credit crunch and international banking crisis. It enables commercial banks to borrow funds from the Bank of England cheaply, so that they can then pass this on in the form of cheap loans to firms. Banks were initially able to use the FLS to boost mortgage lending, but since the start of this year it has only been available for loans to firms. Its focus will now be narrowed further, with banks now only able to use FLS for lending to SMEs. The scheme, which has already been extended once and was due to finish at the end of January, will now run until the end of January 2016. So far it has failed to increase net lending to small businesses, despite lenders drawing nearly £48bn ($75bn) from the scheme. Figures from the Bank of England last week showed that lenders using the scheme cut net credit to small businesses by £128m in the three months to September, although this was the smallest reduction this year. Labour said Prime Minister David Cameron and Chancellor George Osborne had “failed” to increase lending to businesses. “Labour will back British businesses by cutting business rates for small firms and setting up a proper British Investment Bank so that firms can get the finance they need to expand,” a party spokesperson said.